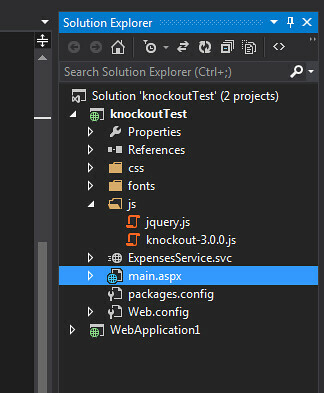 Knockout.js can be seamlessly integrated with ASP.NET projects, you can consume ASP.NET web services in knockout.js pages. In this article, we’re going to create Expense list application using knockout.js and ASP.NET web services. 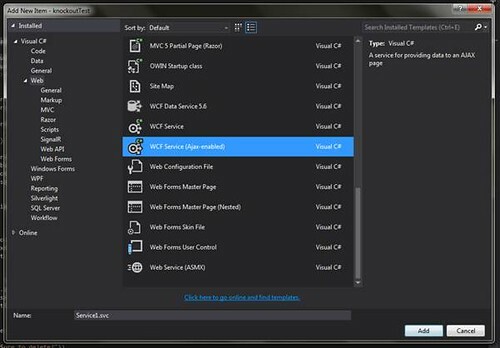 Create a new ASP.NET web project in Visual Studio with Empty as template. We’re going to create a ASP.NET web service that will return JSON data to knockout.js. GetAllExpenses() return JSON data of all expenses, for the example sake we’ve hard-coded the values, it can be easily replaced with database interaction code. GetExpense() return a single expense object in JSON format. We’ve also created a DataContract called Expense that is the definition of the Expense object (ID, Title, Amount & Paid). Now the service is ready to be consumed by knockoutjs. Create newExpenseText and newAmountText as observable properties. Create addExpense and removeExpense as methods of view model ExpenseViewModel. Call ExpensesService.GetAllExpenses from view model ExpenseListViewModel and map the resultant JSON into expenses observableArray. Add reference to ExpensesService in our aspx page by using ScriptManager tags. Add reference to knockout.js and jquery.js. Add knockout.js data-bind attribute to TBODY tag. This attribute uses knockout.js foreach to loop thru expenses observableArray from the view model ExpenseListViewModel. Add knockout.js data-bind attribute to input elements to connect to Expense object properties (Paid, Title, Amount). Add knockout.js data-bind attribute to the Delete link and call removeExpense method of view model ExpenseViewModel. Add knockout.js data-bind attribute to the form and call addExpense method of view model ExpenseViewModel. 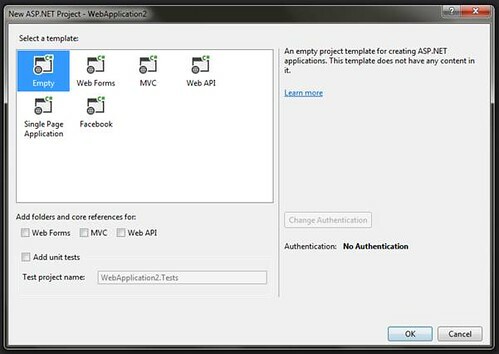 In this article we explored how to integrate knockout.js with ASP.NET projects. Knockout.js is a great framework to create modern web UI and single page web applications and ASP.NET is a flag-ship web server technology from Microsoft. We have best of both when we combine these technologies and create rich and responsive web applications. It’s highly recommended for your current and new ASP.NET projects.